This morning, I'll be wrapping up a week of backstage speaker coaching at the TEDMED conference here in Washington. Last year at TEDMED 2013, British artist Sue Austin managed to bring the audience to silence before she ever got on stage. That's because a short film was shown the day before she spoke at the conference, featuring Austin's performance art: An underwater dive she took in a wheelchair off the coast of Egypt. The video of that dive is mesmerizing. Only later do you learn that Austin, who lost her mobility after an extended illness, is using a National Health Service standard-issue wheelchair for the dive--with some souped-up technology attached. When I'm moving through the underwater spaces off the coast of Egypt it makes me feel free. Look what I'm doing: I'm not swimming, I'm flying. I can bank and roll, somersault, turn loop-the-loops if I want to. It's the ultimate freedom, it's the ultimate joy and exhilaration. So as both a scientist and an artist, I am brought here by a portal, by an underwater wheelchair that has become that portal. A vehicle for transformation, a fun-mobile, an electric wheelbarrow, a sub-aquatic machine. An object to paint and play with, leave traces of my joy and freedom, a facilitator of endless experimentation, a research tool that facilitates an ongoing journey, a thinking space that enables me to create new theory from that practice...enables me to ask unexpected questions and gives me the freedom to realize a previously unexpected dream. What can you learn from this speech, which left many in the audience of 1,500 people saying, "I'll never think about disability in the same way again?" 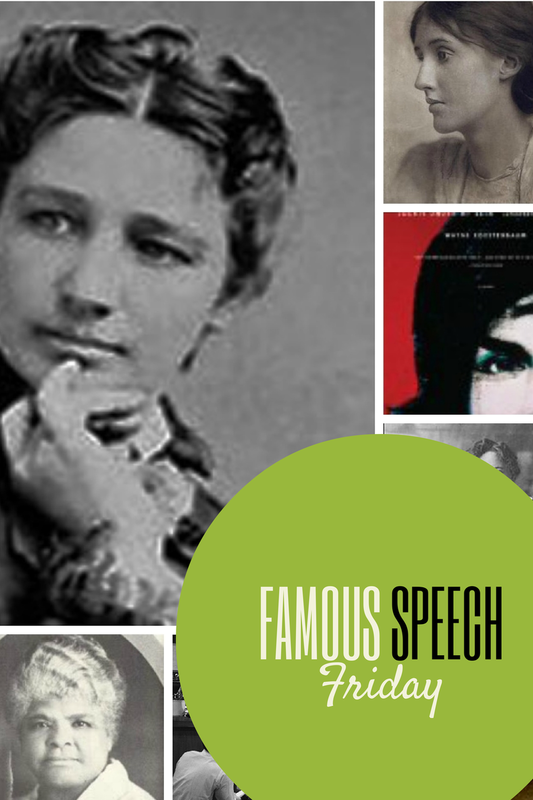 Connect your experience to the audience: It would be easy, too easy, to dismiss Austin as unusual in her accomplishments or to see her as limited by the "cage" of a wheelchair. So she redraws the picture for the audience: "Sometimes the frameworks designed to free us become cages...cages that constrict our thinking, disabling us where there are no physical impairments, limiting our ability to see. What intellectual constructs are you strapped into? Maybe your restraints aren't physical, but I can guarantee you they are there. Maybe you want to get out of them. Maybe you want to turn them into a vehicle. Maybe you might dream of creating a space to fly free." It's a powerful moment in her speech, and a connecting one. Who's caged now? Use all your advantages if they are relevant to your content: That well-chosen spin comes at a relevant moment in which she's describing underwater movement--otherwise, it might just be a gratuitous use of equipment. But since she could spin, and it fit her words, she did, adding visual interest. Jump in with a strong start: Austin got an immediate round of applause for her opening line, "I am the most mobile person in this room." She used that to get the audience thinking differently about disability and mobility, saying that "to get this mobility in the physical world, first I had to get mobile in my thinking." 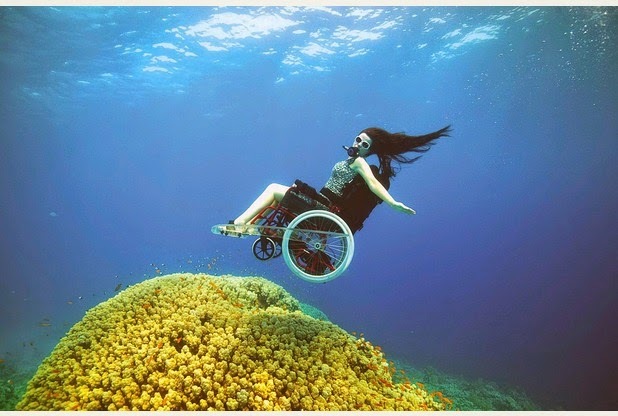 You can watch Sue's TEDMED talk in the video below, and go here to see her underwater in the wheelchair. Read more about how she came to underwater dives here. As she says, just by reading about it and viewing it, now you're a part of this work of art. What do you think of it?